Sunny high resale El Dorado Ave. Chalet across from Barton Meadow with views of Mt. Tallac and the meadow. You can walk or snow shoe in the meadow year round where ducks, geese and egrets abound. Just a short walk or bike ride to Regan Beach, Lakeview Commons and Lake Tahoe. Absolutely charming quiet Cape Cod Chalet style home with 3 bedrooms, 2 baths, formal dining room and 2 car garage. White oak floors on 1st floor, master bedroom with cedar floors and a private deck facing meadow and views. Kitchen with stainless steel appliances. Also just a 10 minute drive to the Heavenly Ski Resort and the Casinos. 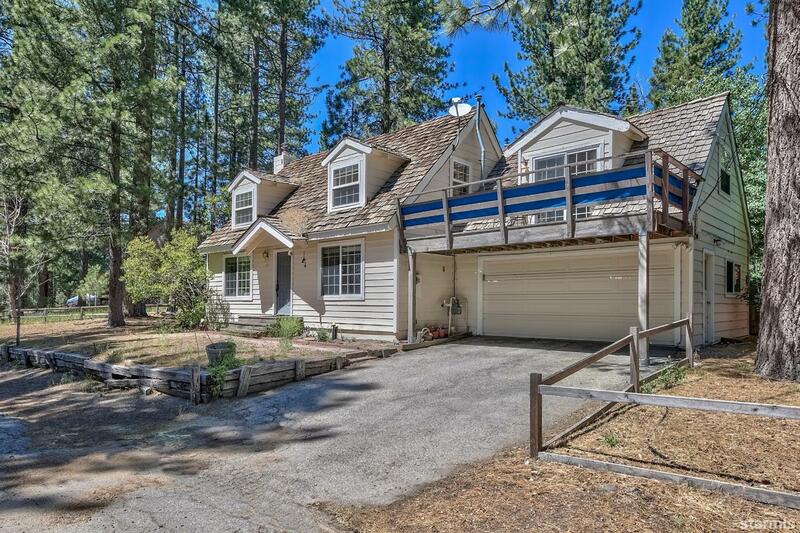 Very comfortable home as it exist and with your touch and a little updating, this will be your Tahoe dream home.